Willowbrook, IL – Club Champion, the nation’s leading custom club fitting and building company, announces a multi-year agreement with three-time Major Champion Jordan Spieth. 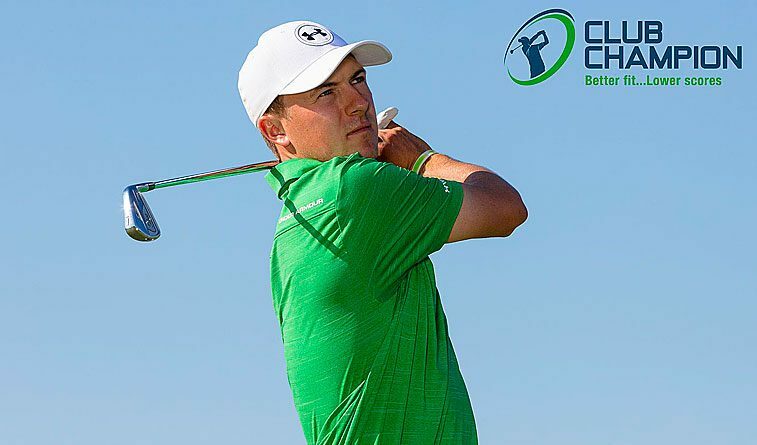 Through the partnership, Spieth will educate golfers on the benefits of playing with properly fit equipment and the value of custom club fitting for players of all skill levels. While golfers could benefit from many avenues of fitting, Spieth aligned himself with Club Champion because of their ability to fit and build equipment to professional level standards. For more information on Club Champion, visit clubchampiongolf.com or call 888-340-7820. PGA TOUR Player Jordan Spieth has amassed 14 worldwide wins in his six-year professional career. A three-time Major Champion, Spieth joins Jack Nicklaus as the only other golfer with three major championships before the age of 24 (The Masters, 2015; The U.S. Open at Chamber’s Bay, 2015; and The Open at Royal Birkdale, 2017 culminating in one of the most memorable finishes in golf history). He has represented the United States on three Ryder Cup teams and three Presidents Cup teams. April 2016, Time magazine named Spieth to its list of the “100 Most Influential People,” noting that he “exemplifies everything that’s great about sports.” His other partnerships with major brands, include Under Armour, AT&T, Coca-Cola, Titleist, Perfect Sense, Rolex, NetJets and Super Stroke.